We always say you should experiment with your machine and our pods. With a broad range of flavours, who knows what you could come up with! The next mocha, maybe? We have come up with an idea that will make your breakfast not only that little bit tastier, but healthier too! 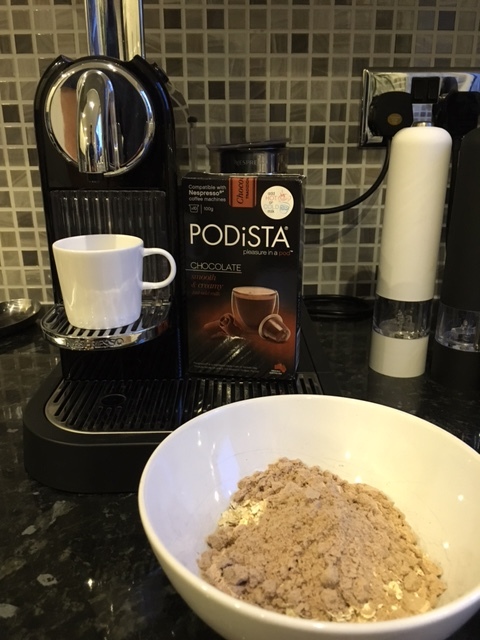 Rather than having a few soggy slices of toast on your way to work in the morning, or a cereal bar at your desk why not get up 10 minutes earlier and make further use of your Nespresso machine. With our sugar free hot chocolate pods you can now add the shot to your bowl of porridge… simply DELICIOUS. This new breakfast idea is the perfect way to start your busy day. For those of you who need a sugar kick in the morning you could always try one of our other flavours, who knows caramel flavoured porridge might just be what you need!… better yet, we would advise you stick to the sugar free! Next post Making a Mint Hot Chocolate with Nespresso!